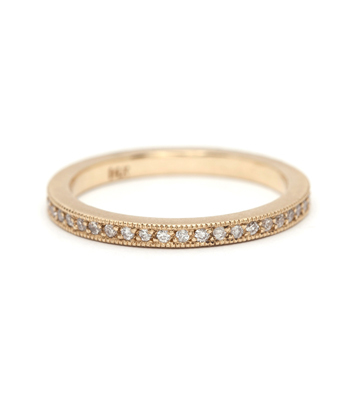 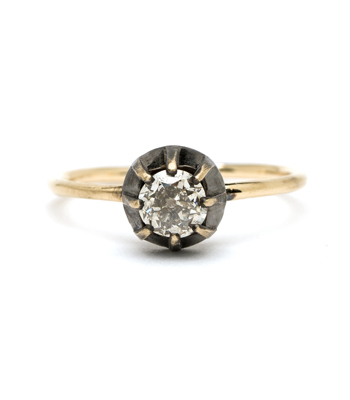 Inspired by one of our favorite Victorian cluster rings, we created this piece in 14K matte yellow gold as a solitaire, featuring a 1.62 ct slightly greenish Mogul cut Diamond center stone. 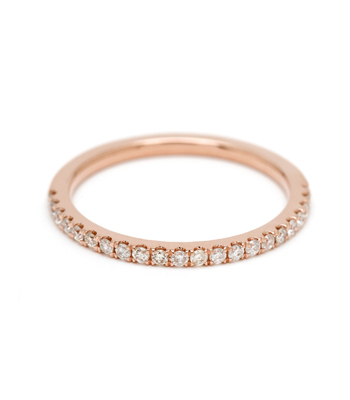 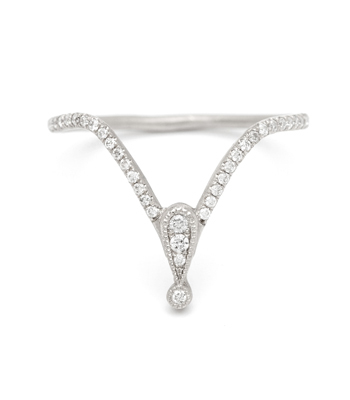 The shoulders are sweetly accented with understated but sparkly rose cut diamonds (0.08ctw). 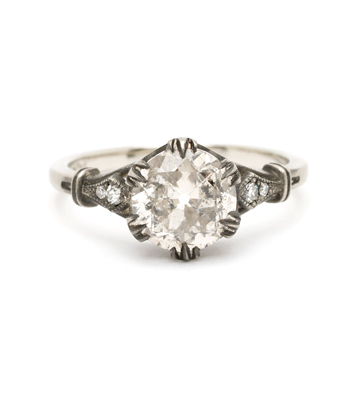 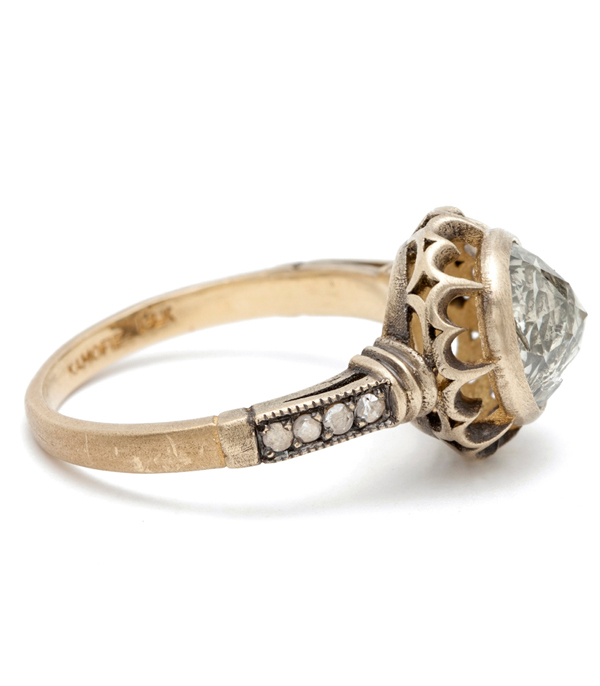 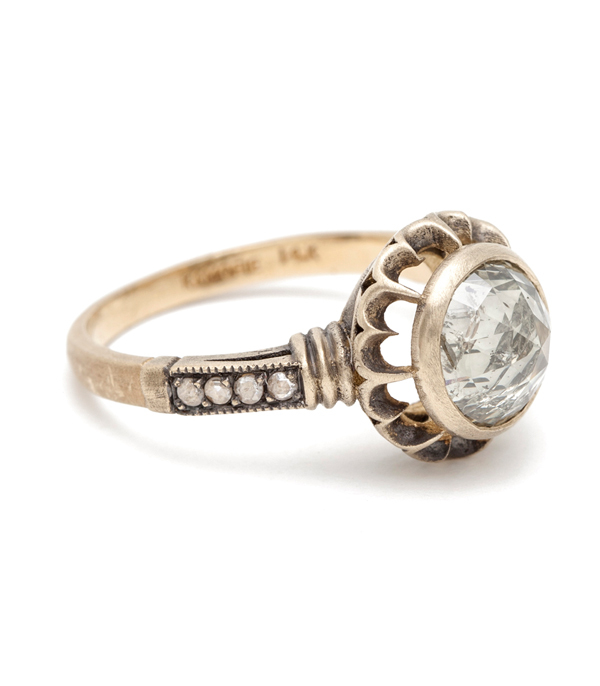 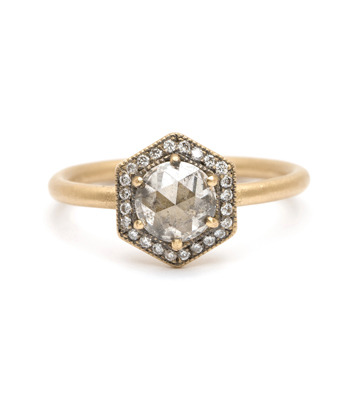 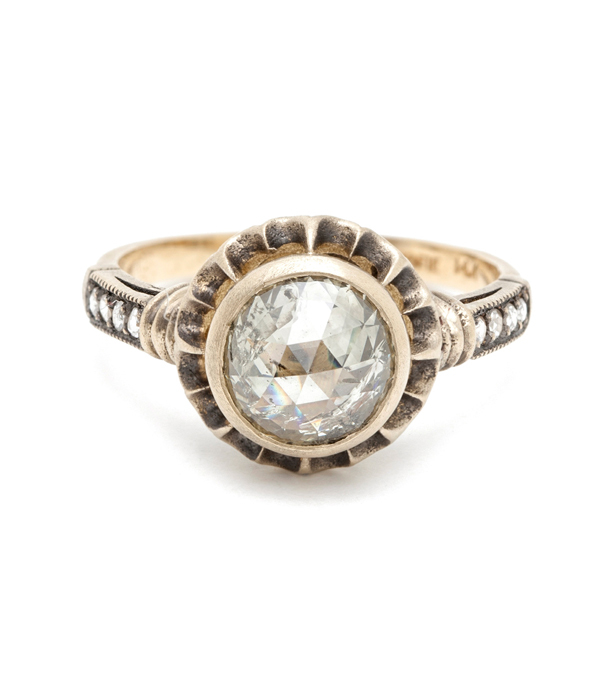 A perfect engagement ring for a “Vintage Romantic” bride who wants a unique and one-of-a-kind creation!